When Lawrence was discharged from New York’s Upstate Correctional Facility after serving nearly 18 years for armed robbery, he took a cab directly to the Eddie Bauer store in Forest Hills, Queens without so much as calling his brother, Frank or his daughter, Kimberly. He was eventually asked to leave because he just kept trying on the same raincoat over and over again for three hours. The Oak Brook, IL Eddie Bauer didn’t open for another 90 minutes the morning Lenny Schofield was released from the prison where he had been incarcerated for 38 years. But he still took a cab straight to the store and stood outside dutifully until it did. 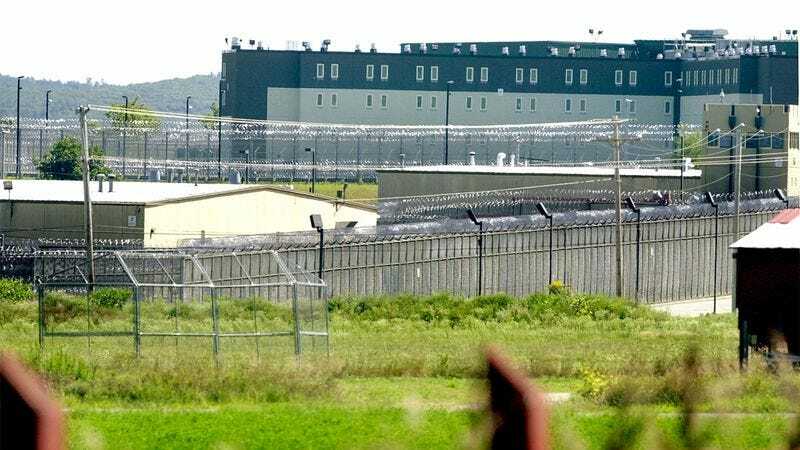 Despite having a big family who visited her regularly at Ohio Reformatory for Women, Patricia purposely told them the incorrect date of her release so they wouldn’t be there to dissuade her from immediately heading to the Eddie Bauer outlet in Fairlawn. After she left the prison, guards were surprised to find the words “Signature Clothing and Accessories Since 1920” had been carved into Patricia’s bed frame over 700 times. Henry didn’t even stop at home to see his parents and sisters even though it was directly on the way to the Franklin Lakes Mall. He did not buy anything at Eddie Bauer, but he stared at some outdoor bags for several hours before wandering off. Maryann famously ran over 18 miles from New Hampshire State Prison to the Eddie Bauer in Tilton, which doesn’t even have a women’s section. She bought several men’s flannel shirts that she immediately threw away in the trash can outside the store. Jake left Rio Cosumnes Correctional Center in August of last year and promptly stole a car, which he drove to the Eddie Bauer outlet store in Roseville, CA. There, he proceeded to shoplift several hundred dollars of fleece pullovers. He was arrested 16 hours later and sent back to prison. After serving 22 years for money laundering, Leonard walked from the Oklahoma State Penitentiary to an Eddie Bauer store 41 miles away, even though there were two closer locations. He left the store seconds later after realizing he hates Eddie Bauer and always has.